Pretty simple and easy to make ... so colourful, appetizing and attractive to guests if you're having some fun fruity party. Recipe adapted from the cookbook "Desserts All Around The Year" by Martha Day. 1. To make the sauce, beat together the mango puree, yogurt, sugar and vanilla with an electric mixer. 2. Stir in the chopped mint. Cover the sauce and place in the fridge until required. 3. Thread the prepared fruit on a 6 inch wooden skewers, alternating the fruits. 4. 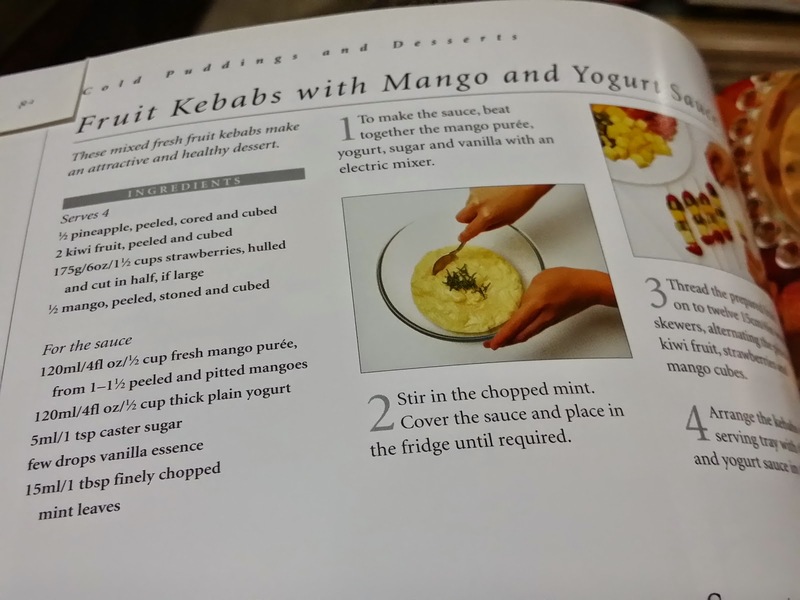 Arrange the kebabs on a large serving tray with the mango and yogurt sauce in the center. Well, this is so refreshing and fun dipping with the sauce. They liked it so much that we had another round the next day since we still have the fruits. 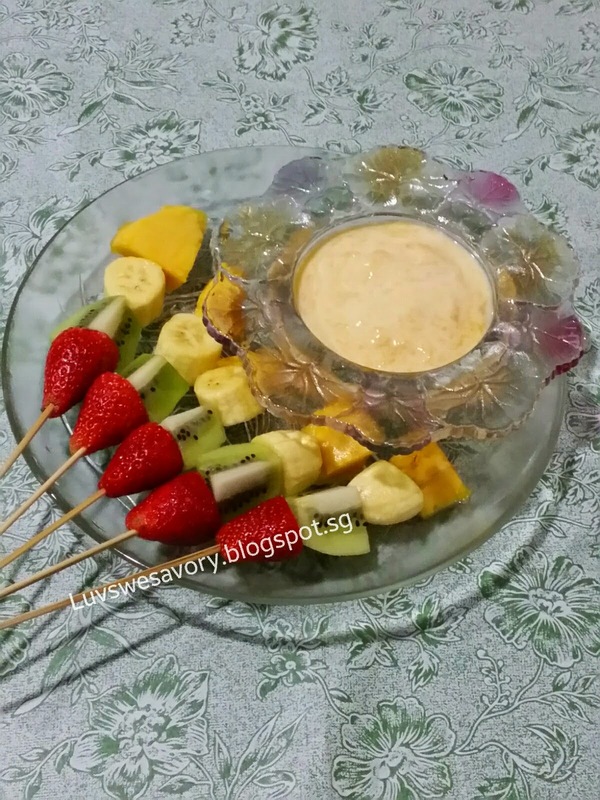 But I only threaded half the quantity with skewers as they couldn't wait for all the fruit skewers to be completed .... they just scooped the sauce onto the cut fruits and munch ... lol ^-^! Enjoy ! Have a fun dipping fruity day and a great weekend ! 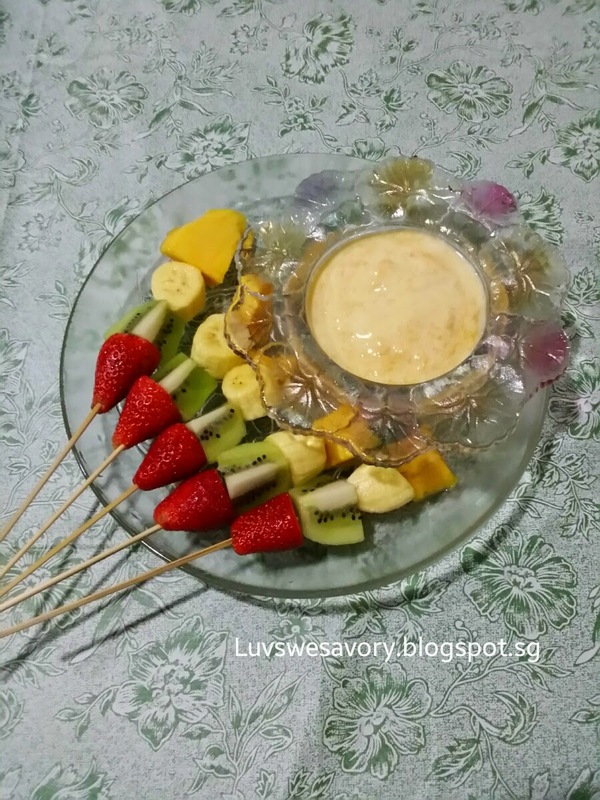 "This post is linked to the event Little Thumbs Up (May 2015: YOGURT) organised by Zoe of Bake for Happy Kids and Doreen of My Little Favourite DIY, and hosted by Cheryl of Baking Taitai"
I like this idea! My toddler will love this! Hehe. Hi Karen, what a healthy dessert! Will definitely give it a try one day. Thanks for sharing it to BREE! Hi Karen! 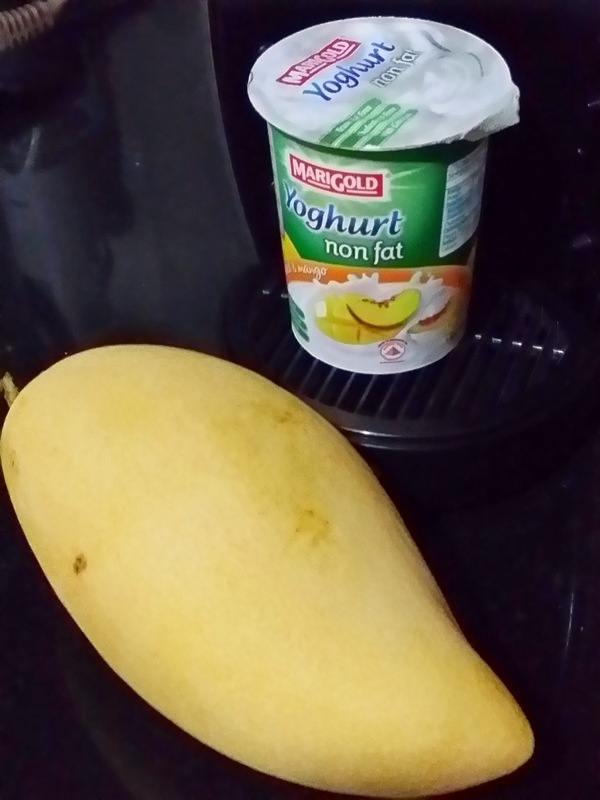 This is such a healthy dessert, love the addition of yogurt and mango together. I wish I can find some mangoes here to try this out! Hi Karen, how genius to replaced the chocolate fondue with yogurt sauce, very healthy indeed! Thanks for sharing with LTU again! Have a great week ahead! ah, this is sure a fun way to eat more fruits! What a brilliant idea. So healthy. Definitely better than chocolates sauce, and that's because I'm not big on chocolates. 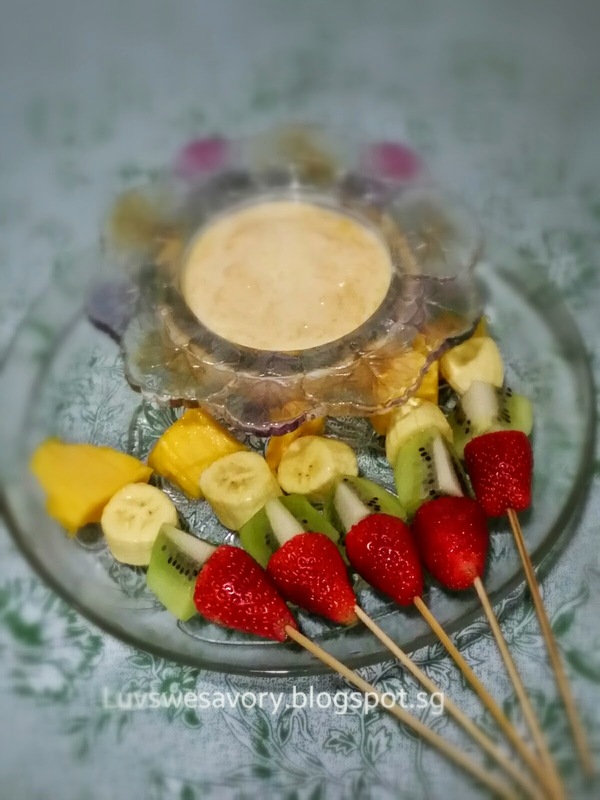 I love to join you for this healthier version of fruit fondue. Karen, I suppose this is healthier compared to meaty kebabs! Such healthy and delicious way of serving fruits! I like!